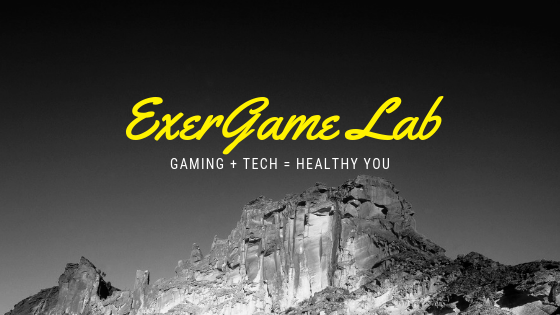 ExerGame Lab: Active Play Now. Will Nintendo & AHA embrace all forms of ExerGaming or Just Wii? 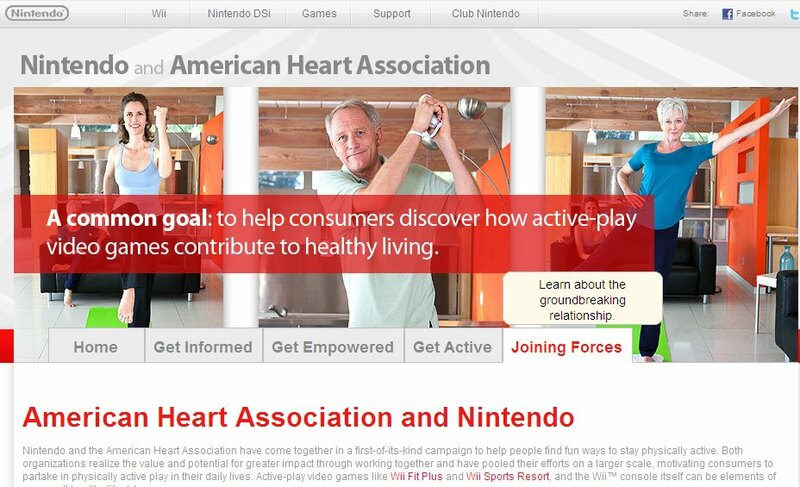 Active Play Now. Will Nintendo & AHA embrace all forms of ExerGaming or Just Wii? 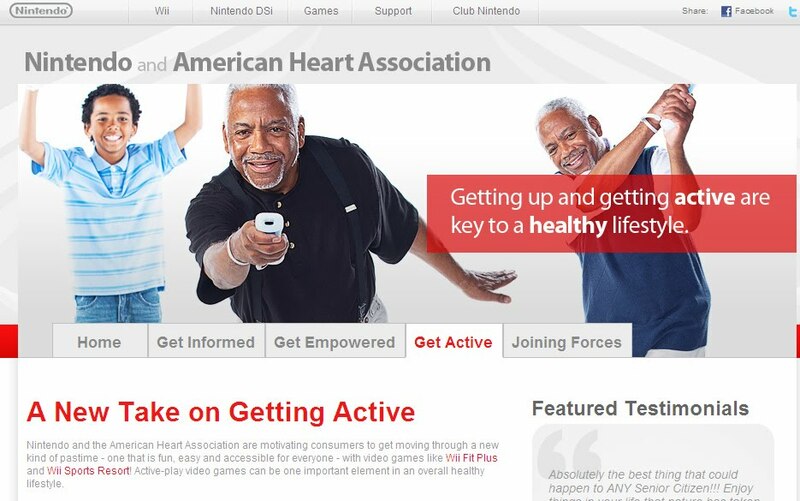 The new partnership (Active Play Now) created by the American Heart Association (AHA) endorsing the entire Wii console and games was a huge announcement this morning and exergaming is definitely gaining some much needed press. However, is there a risk in having the AHA endorse only ONE of the many options when it comes to exergaming? 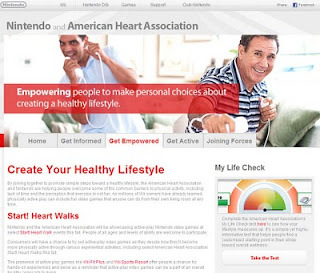 Please weigh in by taking this poll and the results will be on display at the Games For Health Conference in Boston, MA as part of the Games Beyond Entertainment Week event. For all your exergaming needs and information, be sure to visit the unbiased source for all things related to ExerGaming and Active Gaming at The Exergame Network (TEN) and of course here on the ExerGame Lab blog. 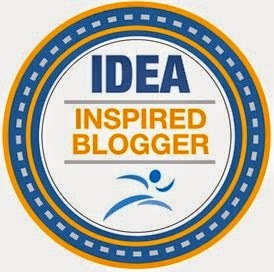 Be sure to watch for updates and coverage coming from the 2010 Games for Health Conference - May 25-27th from Boston. 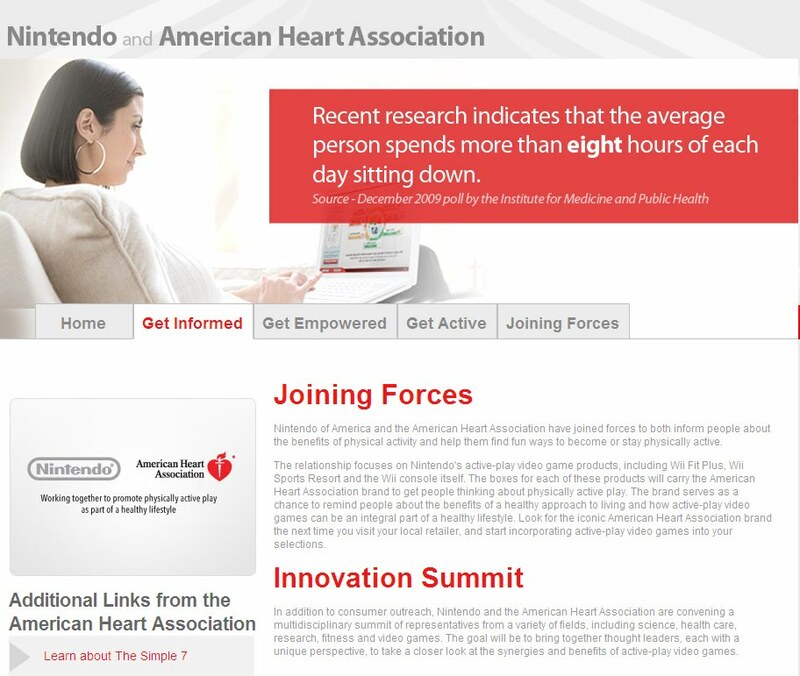 Our biggest and most advance event ever promises to provide great insight to the growing worlds of exergaming/active games, health training games, disease management efforts, and much much more. Our conference platform provides attendees with great content, important networking opportunities, and a focus on providing opportunities to develop new projects and improve existing efforts. In 2010 we are adding more defined and community led tracks and concentrating on greatly improving exhibits and non-session oriented content and activity. Our full schedule will be available later in 2010 but you can see the planned schedule outline now here.